2005: Session Chairman- Behavioral Sciences/ Health Service Research II & Cariology. 83rd IADR Annual Meeting-International Association for Dental Research – Israeli Division, Tel Aviv, Israel. 2005: Dental Aviation Session. Chairman 1st Annual Convention in Aviation Medicine, Herzelia, Israel. 2006: Dental Aviation Session Chairman. 2nd Annual Convention in Aviation Medicine, Herzelia, Israel. 2013: Session Chairman- orthodontic treatment . IADR Annual Meeting – International Association for Dental Research – Israeli Division, Tel Aviv, Israel. 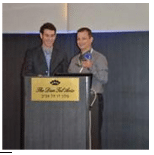 2014: Member of Organizing Committee The Annual Israel Orthodontic Meeting. Keynote Dr Dan Graur. Tel Aviv, Israel. 2014: Chairman of Organizing Committee – Perio – Ortho Interdisciplinary Meeting. Joint Meeting of The Israel Orthodontic Society and The Israeli Association of Periodontology and Osseointegration. Ramat Gan, Israel. 2015: Chairman of Organizing Committee – Joint Meeting of The Israel Orthodontic Society and The Israeli Association of Periodontology and Osseointegration. Eilat, Israel. 2004: Manifestation of Bruxism among Israeli Military Aircrew Members. Aerospace Medical Association – 75 Annual Meeting, Anchorage, Alaska, USA. 2004: Barodontalgia among Israeli Military Aircrew Members. 75th Annual Meeting of the Aerospace Medical Association. Anchorage, Alaska, USA. May 2012: The Periodontally Accelerated Osteogenic Orthodontics (PAOO) or Wilckodontics – an Alternative Adult Orthodontic Treatment Method: Rational, Application and Biologic Benefits. 112th Annual Meeting of the American Association of Orthodontists (AAO).Honolulu, Hawaii, USA –Poster Presentation (Abstract # 1488). 2014: Conservative orthodontic management of large geminated maxillary incisors- Oral Presentation Invited visit in the Advanced Graduate orthodontic Program, Department of Developmental Biology, Harvard School of Dental Medicine, Boston, MA, USA. 2014: Wilckodontics – an Alternative Adult Orthodontic Treatment Method: Rational And Application- Oral Presentation. Invited visit in the Advanced Graduate orthodontic Program, Department of Developmental Biology, Harvard School of Dental Medicine, Boston, MA, USA. 2014: Orthodontic Consideration in Patients with Beta-Thalassemia Major: Case Report and Literature Review – Oral Presentation. Invited visit in the Advanced Graduate orthodontic Program, Department of Developmental Biology, Harvard School of Dental Medicine, Boston, MA, USA. September 2015: Early Treatment of Skeletal Cl. III- Oral Presentation. Invited visit in the Advanced Graduate orthodontic Program, Department of Developmental Biology, Harvard School of Dental Medicine, Boston, MA, USA. September 2015: Circumferential Supra Crestal Fiberotomy (CSF) for Reducing of Orthodontic Treatment – Oral Presentation. Invited visit in the Advanced Graduate orthodontic Program, Department of Developmental Biology, Harvard School of Dental Medicine, Boston, MA, USA. 1883: Cranial Thickness of Near Eastern Population from the Last 4000 Years. The 63rd Annual Meeting of the Israel Dental Association, Tel Aviv, Israel. 1989: Premature Extraction of Deciduous Molar and the Crown Root Ratio of their Permanent Successors. 67th IADR Annual Meeting – International Association for Dental Research – Israeli Division, Jerusalem, Israel – Oral Presentation. 1994: Biologic Basic and Considerations of Forced Eruption. Advanced studies for dental practitioners, The Hebrew University Hadassah, Faculty of Dental Medicine. Jerusalem, Israel. 1994: Local Acquired Factors in Permanent DentitionEruption. Advanced studies for dental practitioners. The Hebrew University Hadassah, Faculty of Dental Medicine, Jerusalem, Israel. 1998: Orthodontics for Children and Adults – Kupat Holim Clalit, Dental Staff Conference. Tel Aviv, Israel. 1998: Orthodontic Appliances – Kupat Holim Clalit, Dental Staff Conference. Tel Aviv, Israel. 1998: Retention Consideration – Kupat Holim Clalit Dental Staff Conference. Tel Aviv, Israel. 1998: Extraction in the Orthodontic Practice. Tel Hashomer Dental Medicine Center Conference, Tefen, Ma’alot, Israel. 2002: Spaced Dentition treatment with Invisalign. The Israeli Invisalign Forum, Tel Aviv, Israel. 2003 Change in the Vertical Dimension in a Complete, Incomplete and Open Bite Patients During and after Orthodontic Treatment. Symposium in honor of Prof. Yerucham Zilberman. The Hebrew University Hadassah, Orthodontic Department, Jerusalem, Israel. 2004: Occupational Exposure to Glutar-aldehyde Air Levels at Dental Clinics: a Comparison between 2% and 0.25% Solutions. 11th Occupational Medicine Annual Meeting, Jerusalem, Israel. 2004: Manifestation of Bruxism among Israeli Military Aircrew Members. 11th Annual Meeting of the Family Medicine Association, Haifa, Israel. 2004: Increased Productivity Correlation with Customer Satisfaction in IAF Dental Clinics. 6th Annual Meeting of National Medical Logistic Council, Tel Aviv, Israel. 2005: IAF Characteristics of Maxillofacial Trauma Resulting from Terror. 83 IADR Annual Meeting-International Association for Dental Research – Israeli Division, Tel Aviv, Israel. Ringler D, Einy S, Giveon A Goldstein L, ITR, Peleg K. Oral Presentation (Abstract #018). 2005: IAF Occupational Exposure to Glutar-aldehyde Air Levels at Dental Clinics. 83 IADR Annual Meeting-International Association for Dental Research – Israeli Division, Tel Aviv, Israel. Oral Presentation (Abstract #026). 2005: IAF Dental Clinics monitoring tool increases productivity and customer satisfaction. 83 IADR Annual Meeting-International Association for Dental Research – Israeli Division, Tel Aviv, Israel. Oral Presentation (Abstract #028). 2005: Service Quality Improvement During Availability Crisis in a Military Clinic. 83 IADR Annual Meeting-International Association for Dental Research – Israeli Division, Tel Aviv, Israel. Sharabi Ventura Y, Schochat T, Goldstein L, Einy S. Oral Presentation (Abstract #032). 2005: How Much Does DMFT Underestimate the Need For Restorative Care? 83 IADR Annual Meeting-International Association for Dental Research – Israeli Division, Tel Aviv, Israel. Becker T, Levin L, Schochat T, Einy S, Dinte A. Oral Presentation (Abstract #033). 2005: Leukemia Early Detection at Dental Clinic due to Gingival Bleeding. 83 IADR Annual Meeting-International Association for Dental Research – Israeli Division, Tel Aviv, Israel. Yaniv- Marom Y, Goldstein L, Einy S. Oral Presentation (Abstract #047). 2005: Orthodontic Status among IDF Soldiers. 83rd IADR Annual Meeting-International Association for Dental Research – Israeli Division, Tel Aviv, Israel. Oral Presentation (Abstract #065). 2005: Treatment Challenge of Impacted Permanent First and Second Mandibular Molars. 83rd IADR Annual Meeting-International Association for Dental Research – Israeli Division, Tel Aviv, Israel. Oral Presentation (Abstract #068). 2005: Treatment Challenge of Impacted Permanent First and Second Mandibular Molars. 6th Annual Interdisciplinary Meeting of the Israel Orthodontic Society Symposium in Honor of Prof. Adrian Becker, Jerusalem, Israel. 2010: OrthodonticExtraction Cases Treated Using Invisalign Technique. Israel Dental Association (IDA), Haifa Chapter Scientific Meeting, Haifa, Israel. 2010: Wilckodontics – Advanced Teeth Movement Combined with Adjunctive Surgery. Dental Israel 2010 – Exhibition & Scientific Committee for Israeli Dentists. Tel Aviv. Israel. 2011: Craniofacial Characteristics of B-Thalassemia Major Patients – Literature Review. Annual Meeting International Association for Dental Research (IADR) Israeli Division. Tel-Aviv, Israel. (Abstract #0006). 2011: Orthodontic Treatment in Periodontal Patients. Annual Meeting International Association for Dental Research (IADR) Israeli Division. Tel-Aviv, Israel, June 2011. Krausz E, Einy S, Aizenbud D, Levin L. Oral Presentation (Abstract #0082). 2011: Wilckodontics – An Alternative Adult Orthodontic Treatment Method: Rational And Application. The 91st Annual Meeting of the Israel Dental Association, Tel Aviv, Israel. 2012: Wilckodontics – A Multidisciplinary Approach for Conservative Orthodontic Results. Dental Northern Israel 2012 –Scientific Committee and Dental Exhibition for the Northern Israeli Dentists, Haifa Israel. 2012: Wilckodontics – An Alternative Adult Orthodontic Treatment Method: Rational And Application – Oral presentation. Israeli Orthodontic Society – Annual Meeting. Back To Basics. Tel Aviv, Israel. 2013: PAOO – An Alternative Adult Orthodontic Treatment Method: Rational And Application – Oral presentation. Israeli Dental association. Tel Aviv, Israel. 2013: Orthodontic Treatment Principles and the Role of the Dental Hygienist, Oral Presentation. Course for hygienists, School of Graduate Dentistry, Rambam Health Care Campus, Haifa, Israel. 2013: Orthodontic Considerations in Patients with Beta Thalasemia Major: a case report. Tzemach M, Aizenbud D, Einy S, Oral Presentation. Israeli Orthodontic Society – Annual Meeting, Tel Aviv, Israel. 2015: Circumferential Supra Crestal Fiberotomy (CSF) for Reducing of Orthodontic Treatment. Einy S. Oral Presentation. Periodontology 2015 – New perspectives for the interdisciplinary dental treatment. The Annual Meeting of the Israeli Association of Periodontology and Osseointegration. Tel Aviv, Israel. 2015: Circumferential Supra Crestal Fiberotomy (CSF) enable short orthodontic treatment. Einy S, Horwitz J. Oral Presentation. IADR Annual Meeting- International Association for Dental Research – Israeli Division, Tel Aviv, Israel. 2015: Debate: Corticotomy induced orthodontics (PAOO): Where are we now? Einy S. Speaker and Moderator. 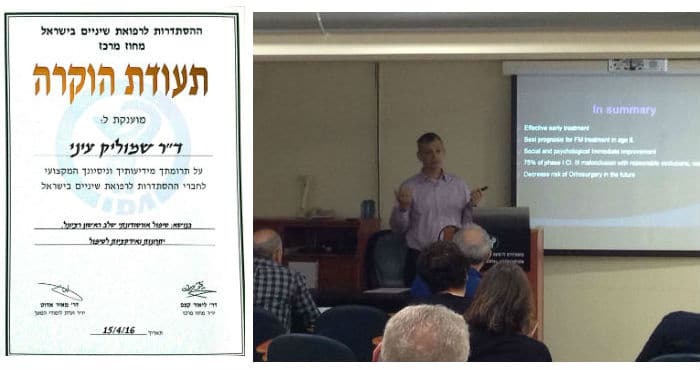 The 50th Anniversary of the Department of Orthodontics Hebrew University – Hadassah School of Dental Medicine Jerusalem Joint Meeting with The Israel Orthodontic Society. Jerusalem, Israel. 2015: Conservative orthodontic management of large geminated maxillary incisors Avezov K, Einy S. Aizenbud D. (Poster Presentation). 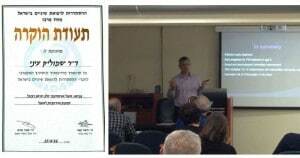 The 50th Anniversary of the Department of Orthodontics Hebrew University – Hadassah School of Dental Medicine Jerusalem Joint Meeting with The Israel Orthodontic Society. Jerusalem, Israel. 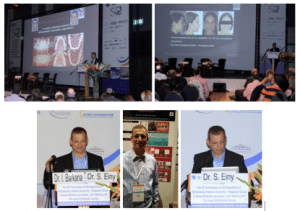 2015: Supra crestal fiberotomy (SCF) – is it really the future?Einy S. Joint Meeting of The Israel Orthodontic Society and The Israeli Association of Periodontology and Osseointegration. Eilat, Israel. 2016 Early Treatment of Skeletal Cl. III – Oral presentation. Israeli Dental association. Tel Aviv, Israel.